Chroma Atelier Interactive Acrylic Paint is a professional, high quality acrylic paint available in 75 colors. These paints have a wonderful buttery consistency and dry to a rich satin finish with little to no color shift. As you know, acrylic paints do have their drawbacks. They dry quickly, colors change value when dry and you can’t rework an area after it has already dried. Well, thanks to Chroma Atelier Interactive Acrylic Paint, this has all changed. The properties of this acrylic paint are somewhat magical. The folks over at Chroma, have created a paint that stays workable for longer periods of time and maintains its color after drying. These paints do dry , but they dry differently than traditional acrylics. Normal acrylics dry quickly and form a skin. Atelier Interactive Acrylic Paint goes through what is known as a “Curing” cycle. It will go from a wet workable phase, to a tacky stage, then to a stage known as “touch dry”. The “tacky” stage is the interactive stage where these paints really begin to shine. You will recognize this “tacky” stage when your brush begins to drag and is no longer sliding smoothly on the canvas. At this point, you can either wet your brush, or use a fine mist sprayer to wet the paint to bring it back to a workable state. 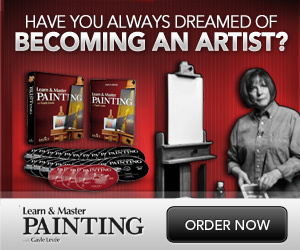 Learn more about this acrylic paint by watching the video below.